Mayor Bill de Blasio announced Monday that the city has begun testing for toxic lead paint inside tens of thousands of NYCHA apartments, but there is no set date for when that testing will reach the 15,299 units of public housing in Queens, the agency told the Eagle. NYCHA manages 175,000 apartments citywide, including more than 135,000 units built before 1978, when the federal government banned lead-based paint. Each of those older apartments will undergo X-ray fluorescence (XRF) analysis to test for lead by the end of 2020, de Blasio said. The city will contract with seven companies to conduct the testing at a cost of $88 million, beginning with the Williamsburg Houses in Brooklyn. Testing will also begin in the Red Hook Houses West in Brooklyn; Bronx River, Castle Hill and Marble Hill Houses in the Bronx; and St. Nicholas and Johnson Houses in Manhattan, de Blasio said. NYCHA will prioritize developments with the highest number of apartments that are home to children under six years old. Young children are most vulnerable to the toxic effects of lead poisoning, which stunts brain development and can be fatal. None of the developments with the highest number of apartments with children under age six are located in Queens,* a NYCHA spokesperson told the Eagle. The spokesperson said that NYCHA expects to begin testing in Queens developments by the end of this year, but the agency does not have a specific timeline for testing at this point. The testing initiative begins amid intense scrutiny of the public housing agency. Thousands of NYCHA residents, including children, have been exposed to lead-contaminated paint in their homes. The mismanagement of the lead paint crisis contributed to then-Public Advocate Letitia James naming NYCHA as the city’s worst landlord on her 2018 Landlord Watchlist. James was elected state attorney general and began her term in January. In June 2018, the city said that 820 children under age 6 living in NYCHA apartments had tested for toxic lead levels between 2012 and 2016. The city had previously estimated that 19 children had tested for toxic lead levels, the Daily News reported. Earlier that month, the city signed a consent decree with the federal government that included conducting lead remediation, reporting progress and assenting to federal oversight. A report published by the Department of Health in January found that 3,807 total children tested for blood-lead levels of 5 micrograms per deciliter in New York City between January and September 2018, including 110 kids who live in NYCHA apartments. The Centers for Disease Control considers a lead level of 5 mcg/dcl particularly dangerous, but indicates that no blood-lead level is safe. The number of children with an elevated blood-lead level represents 1.4 percent of the 278,764 children tested citywide. 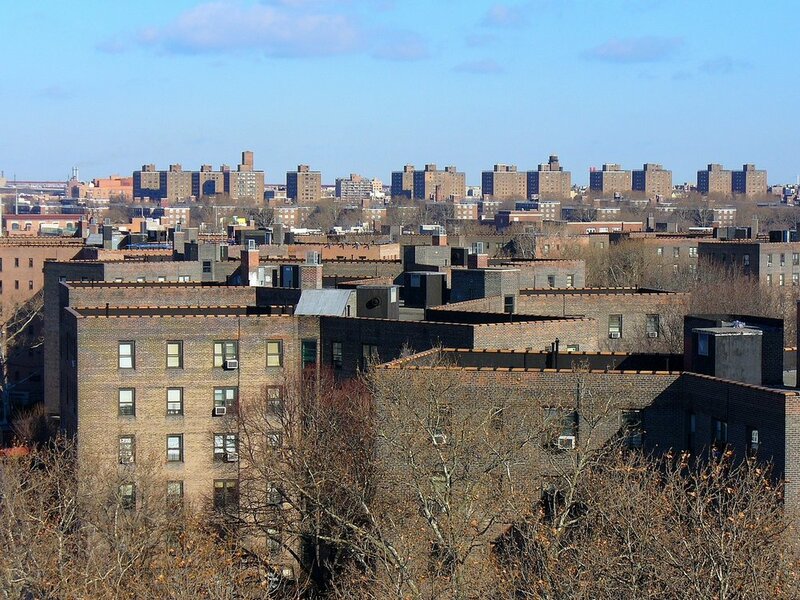 NYCHA identified lead paint in several Queens developments, including Woodside, South Jamaica II, Ravenswood, Queensbridge North, Pomonok, Hammel, Bland and Astoria, according to a lawsuit brought by the U.S. Attorney for the Southern District, which resulted in the consent decree. A map created by the Daily News in December 2017 plotted the presence of lead paint in at least 183 units in Queens NYCHA developments, but children in many more Queens NYCHA units remain vulnerable, At-Risk Community Services Director Elie Hecht told the Eagle in July. Hecht’s organization advocates for the rights of public housing residents and works closely with the Citywide Council of Presidents, a tenants’ rights group comprised of tenant representatives from various NYCHA developments. Despite the start of the lead testing initiative, few tenants seem optimistic that the city will follow through on the mission to eliminate toxic lead, said Ray Normandeau, a tenant leader at the Queensbridge Houses who manages the website Queensbridge.us. *Clarification: A previous version of this article stated that none of the NYCHA developments with the highest population of children under age six are located in Queens. A spokesperson actually stated that none of the NYCHA developments with the highest number of apartments with children under age six are located in Queens.